The Card Verification Value (CVV) is a 3-4 digit security code printed on the front or back of credit/debit cards. For VISA, MasterCard, and Discovery cards, the CVV is the last 3 digits on the back of the card. 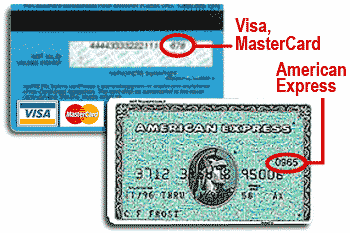 For American Express cards, the security code is the 4 digits on the front of the card above the end of your card number.